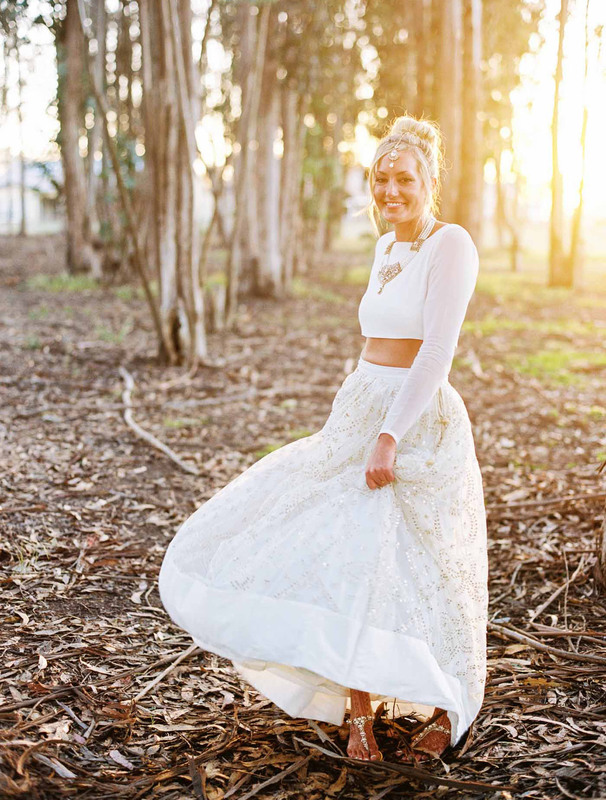 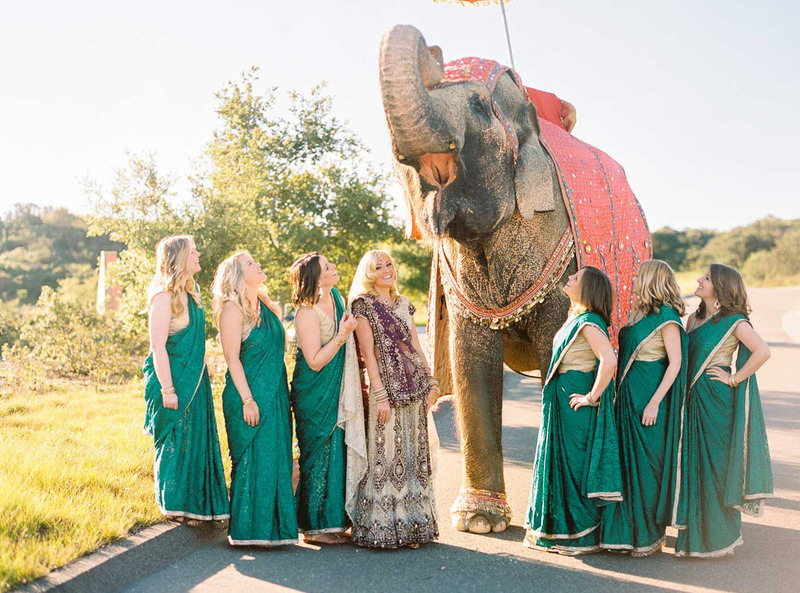 Sarah wore a few super stunning dresses throughout the celebrations, and we’re just loving this gorge two-piece number she chose for their Sangeet (a Hindu celebration the day prior to their wedding). 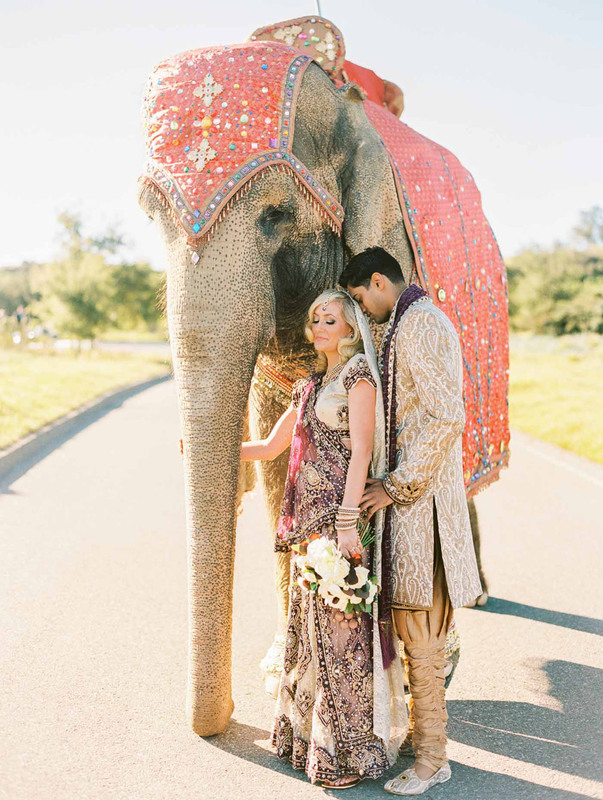 Where to even start!! 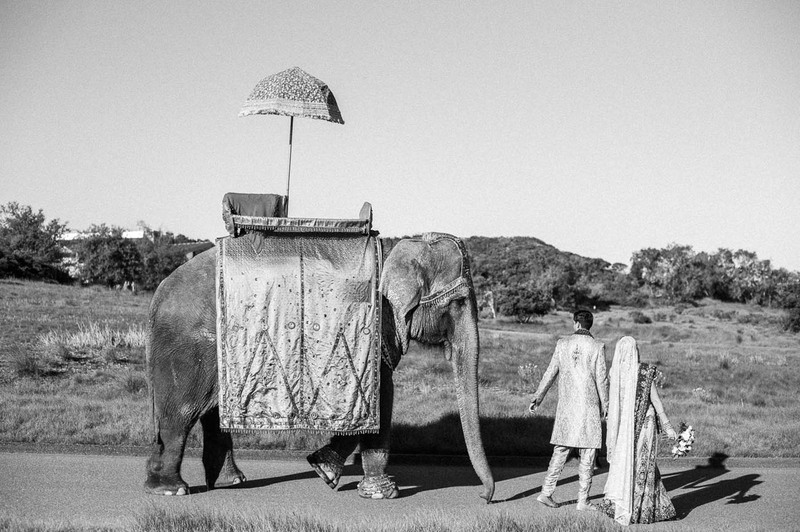 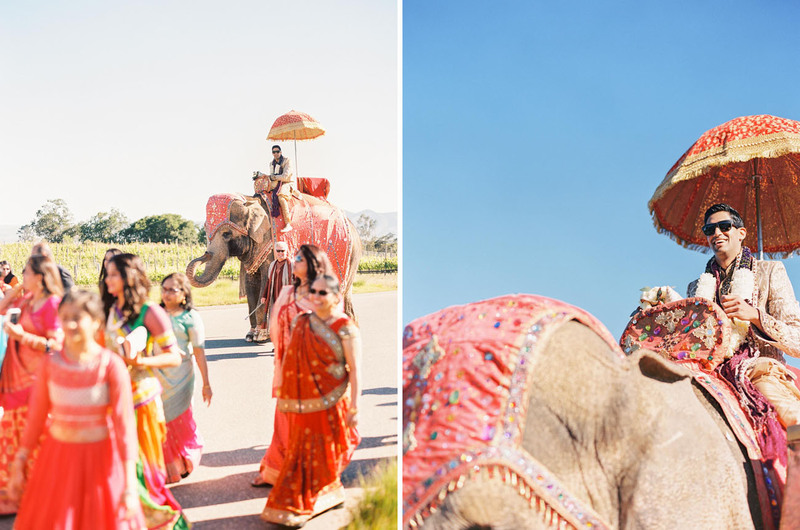 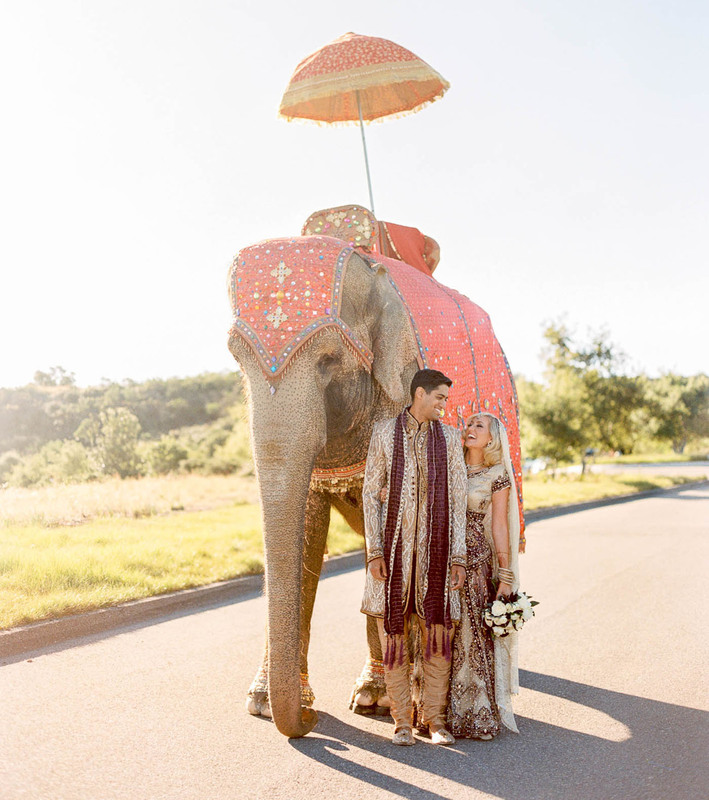 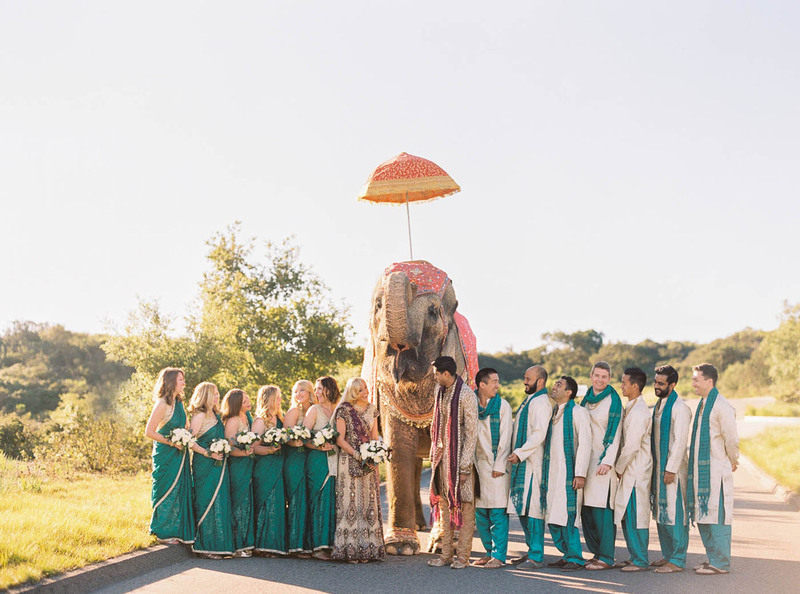 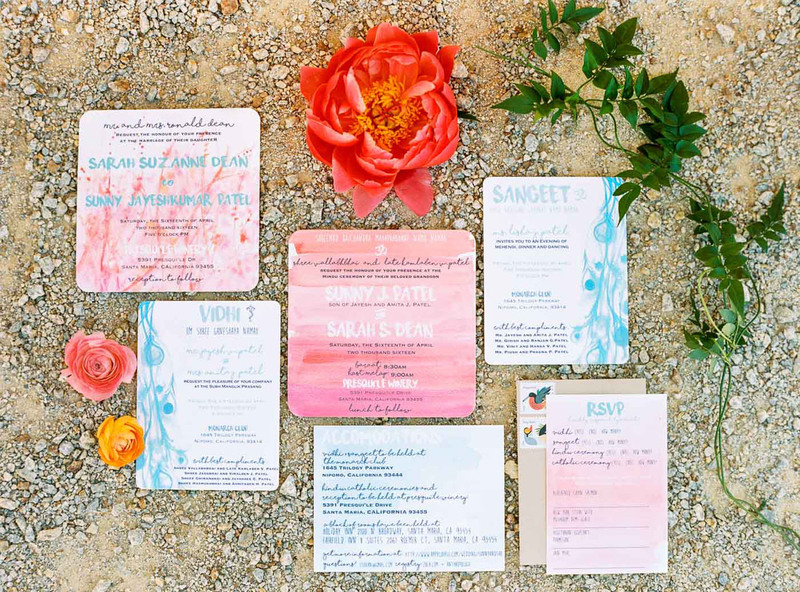 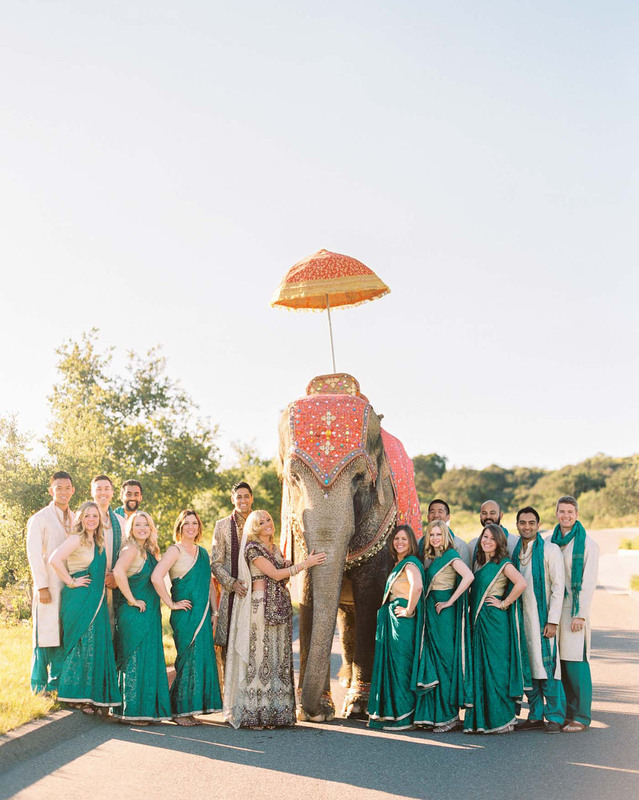 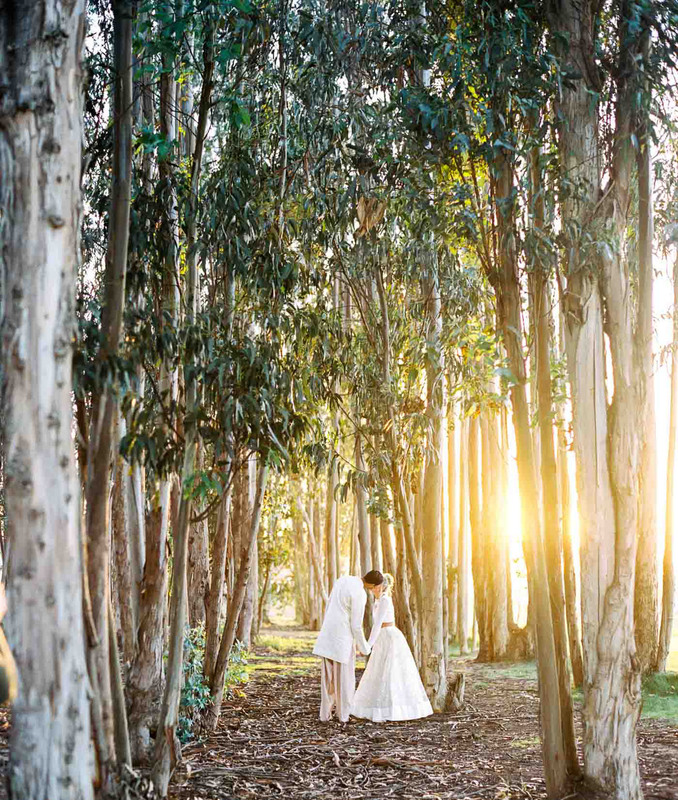 From those amazing invites, to the style, the elephant, and the photography… this wedding is absolutely drop dead gorgeous! 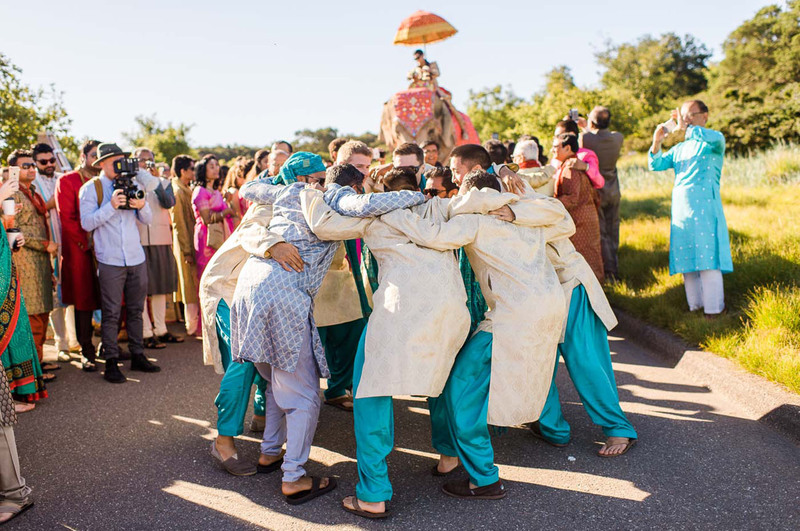 Fabulous images describing fantastic Indian wedding of Sarah & Sunny. 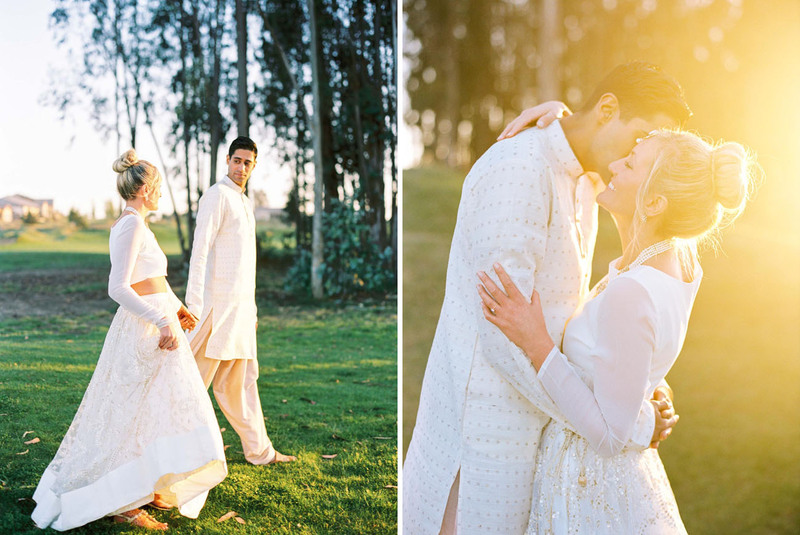 Unique poses, nice photography. 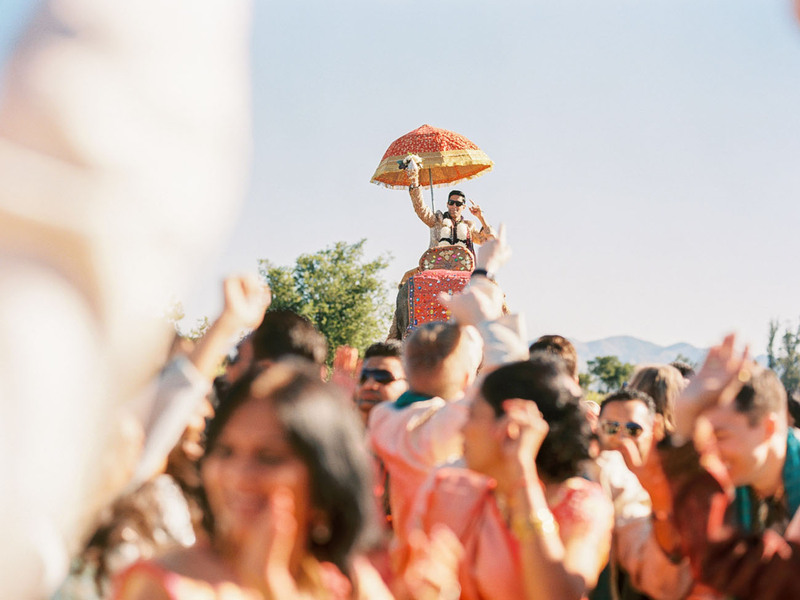 These photos gives idea about immense fun people had at this wedding. 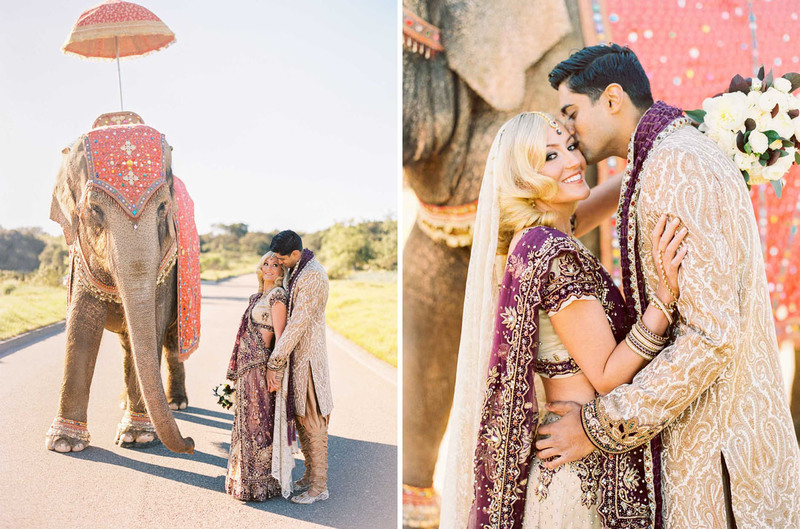 It is great to see Indian/American themed wedding. 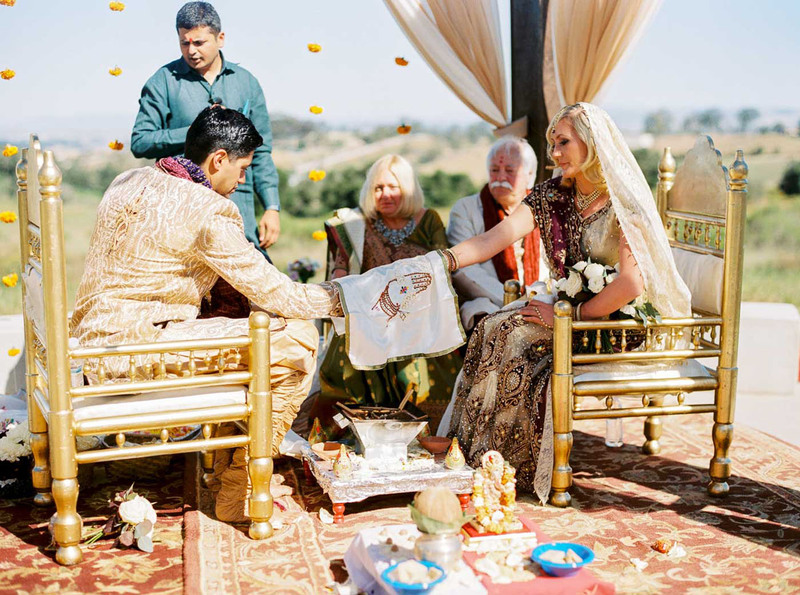 You all are looking great in the pictures. 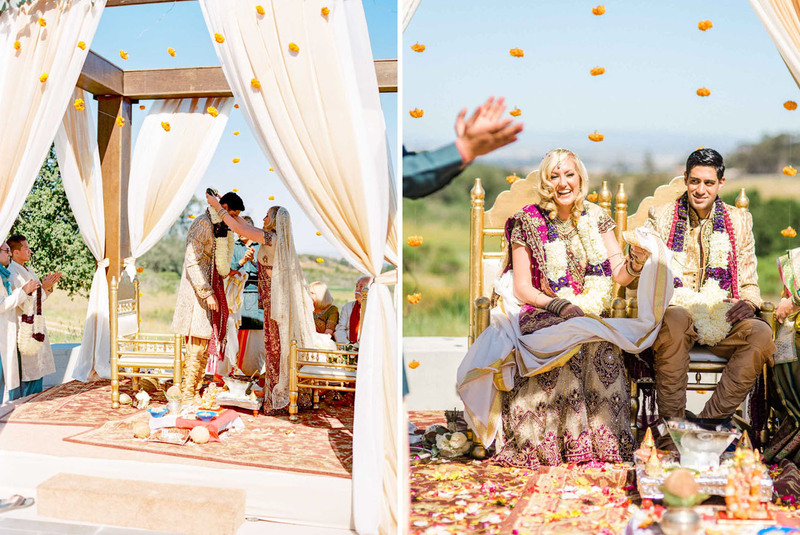 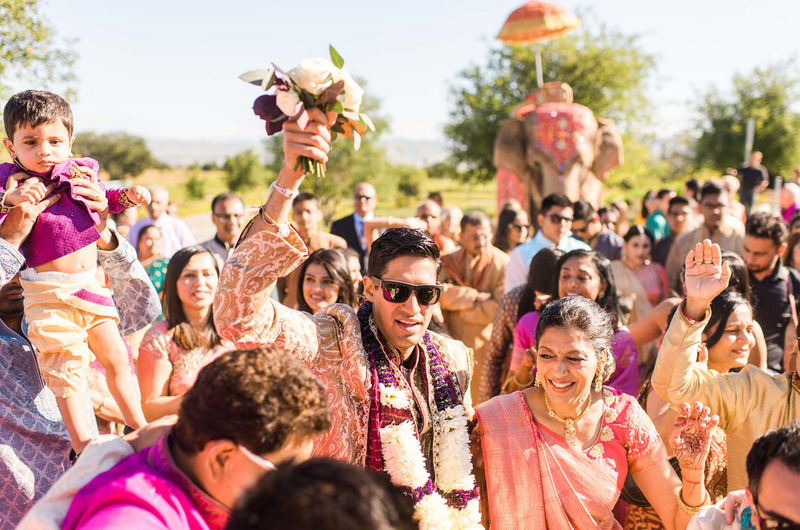 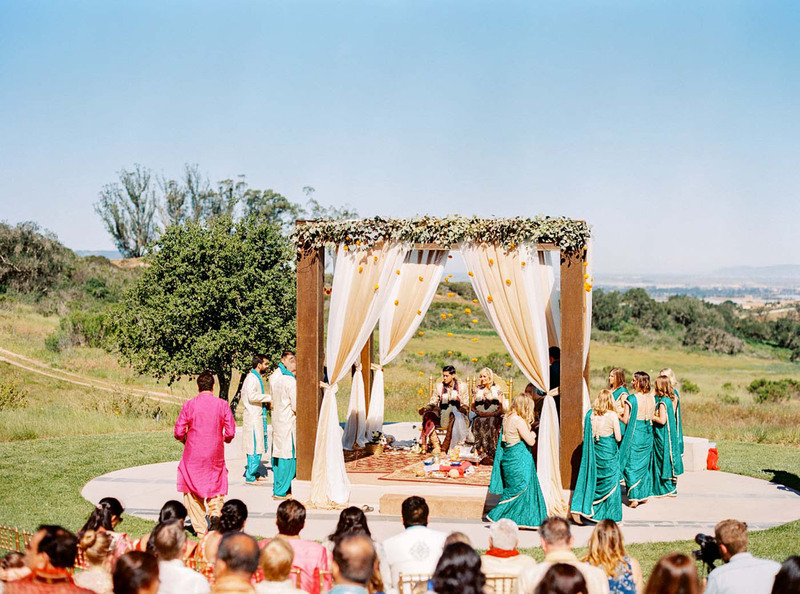 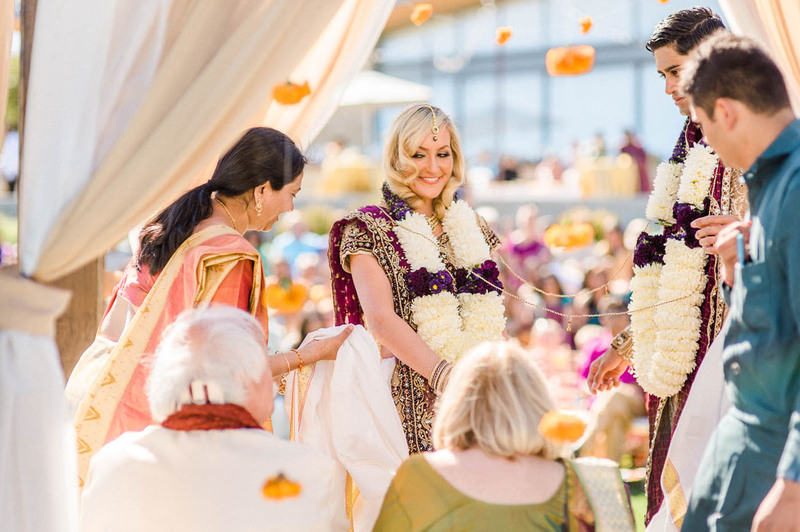 Completely colorful wedding photography of Indian american wedding. 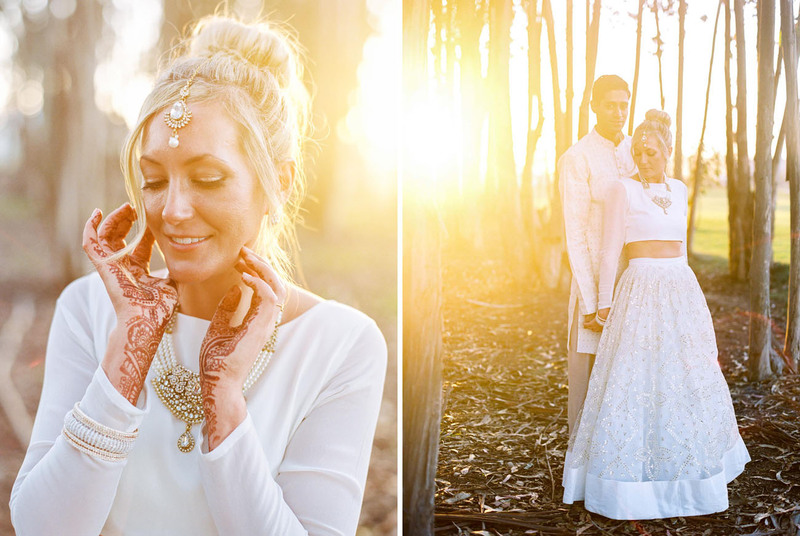 Bride really looks so pretty & gorgeous.